In 1968 Pamela Tiffin starred in what would arguably become one of her most popular and well known Italian films. 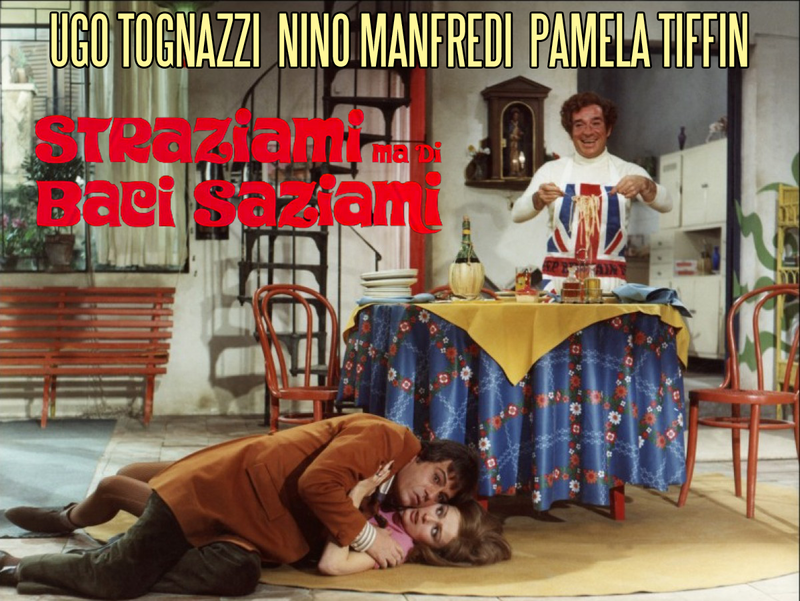 A film that is considered by many a comedy classic in Italian cinema, Straziami Ma Di Baci Saziami casts Pamela opposite Ugo Tognazzi and Nino Manfredi as "Marisa" a young factory worker from the Italian countryside who starts an affair with "Marino"(Nino Manfredi), a humble barber, much to the chagrin of her parents who oppose the union. When the small village she hails from gets wind of the affair "Marina" takes off for Rome. In Rome she accepts a job as the assistant to "Umberto" (Ugo Tognazzi), a deaf mute tailor. "Umberto" falls for "Marisa" and proposes to her. She hesitantly accepts his proposal of marriage. Meanwhile "Marino"distraught over his breakup with "Marina" attempts to commit suicide and is hospitalized. He slowly overcomes his depression and luck is on his side when he wins the lottery. He soon decides to leave for Rome to find "Marisa". He finds her and they rekindle their romance, however "Marisa" is now married to "Umberto" and can't leave him out of obligation. They both decide the only way they will only be together is too kill "Umberto"...with unexpected results. I will not spoil the plot twist in this one as it is both funny and ironic. 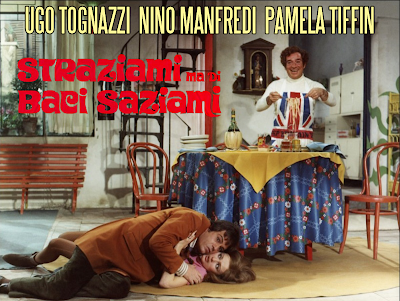 Here in it's entirety is Pamela Tiffin, Nino Manfredi and Ugo Tognazzi in Dino Risi's Straziami Ma Di Baci Saziami. Enjoy!